There is a massive range of refrigeration options for your kitchen. The fabulous American Fridge Freezers that are available come in enough styles among themselves - you may need a water connection for the external ice shoot thingy, and size against space are obvious considerations. Freestanding and Integrated Fridge Freezers will have similar price points, but remember, for Integrated, you will need to add the cost of the kitchen unit housing and doors. 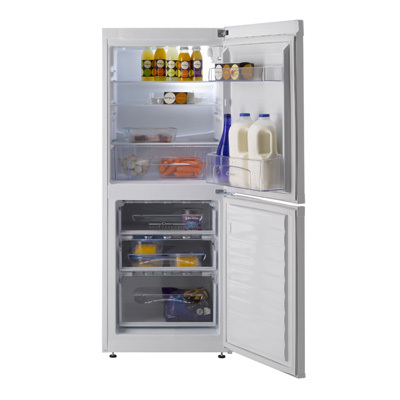 The Freestanding Fridge Freezer is The most versatile of all options. 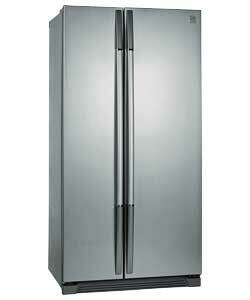 The freezer section be both larger or smaller than the refrigeration area of the appliance. The design of a fitted kitchen will mean that an integrated fridge freezer will require two doors, one of which will be just above the worktop line for symmetry. The Hotpoint example on the right features four freezer drawers, but most have three because of the space constraints. The single door Freestanding Fridge Freezer is still popular in the UK, but the American Style Fridge Freezer, as ithas become known, has taken over as the must have statement in larger kitchens. 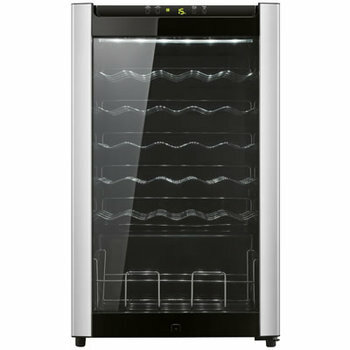 Another statement kitchen appliance is the wine cooler, which comes in at various price points, including the premium style shown on the left which is priced at around £275.